The Lakewood Home Festival returns for its 38th year November 15-16, featuring a tour of six homes, holiday market and food truck cafe, and candlelight home tour on Saturday night. Santa (and his photographer) will also be onsite both days before Santa heads to his post at Neiman Marcus Downtown for the season. More than 4,000 enthusiasts attend the festival annually, to help raise funds for Lakewood Elementary School, J.L. Long Middle School and Woodrow Wilson High School. Since its inception in 1976, the Lakewood Home Festival has raised more than $1 million. 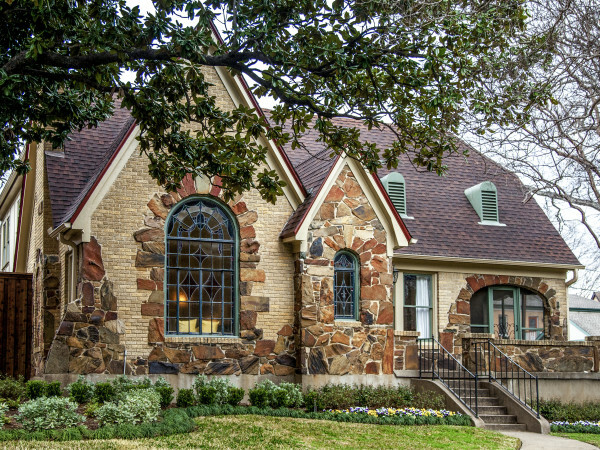 Here is a preview of the homes on the tour, ranging in style from Spanish Colonial Revival to Texas modern. Inspired by New England cottage architecture and low-country Southern style, the owners designed this quaint rebuild in 2012. The home sits on the same footprint and maintains its original hardwood floors, and there are thoughtful, historically significant details throughout: dentil crown molding, dormer windows, Bevolo gas lantern imported from New Orleans, and retro touches of black and white tile flooring in the bathrooms and laundry room. The homeowners coveted this Charles Dilbeck house for 37 years before finally making it their own. They purchased it six years ago and nicknamed it the Crabapple Cottage, then proceeded to repair, upgrade and expand on Dilbeck’s trademark French farmhouse design. Once inside the front Dutch door, find an expansive living area with rough-hewn timbers, hand-carved mantel and banisters, and Dilbeck’s signature oversized fireplace. Furnishings include items collected from Europe and the Far East, as well as family treasures. The homeowners artfully landscaped the backyard and reimagined the original potting shed as a studio/office that resembles a tiny Dilbeck house. This home is a modern take on a 1930s Spanish Colonial Revival filled with the homeowner’s original art, as well as finishes, fixtures and antiquities collected by the family on their many travels. 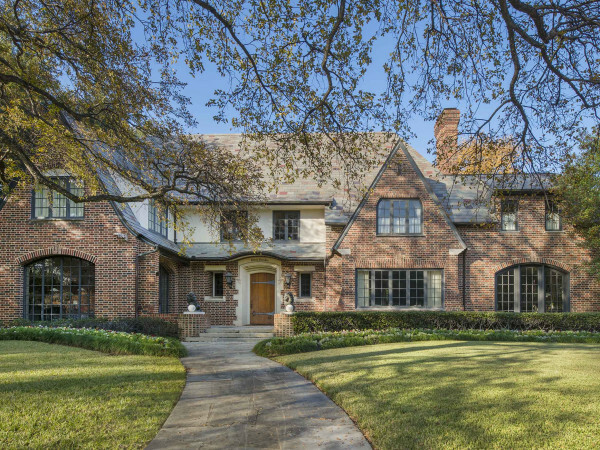 For the 2012 rebuild, the homeowners designed a home to suit their tastes while honoring the character, scale and style of early Lakewood homes. Historically appropriate architectural features such as arched doorways and barrel ceilings accent rooms filled with one-of-a-kind accents, such as the tiles in the kitchen backsplash, foyer and family room that were handmade in Marrakech, imported and reassembled for installation using hand-drawn guides from the craftsman. This 1950s ranch-style home, one of the first of its kind to be built in Lakewood, underwent a renovation in 2009 spearheaded by the interior designer homeowner. The soft contemporary family home was designed with entertaining and indoor-outdoor living in mind. 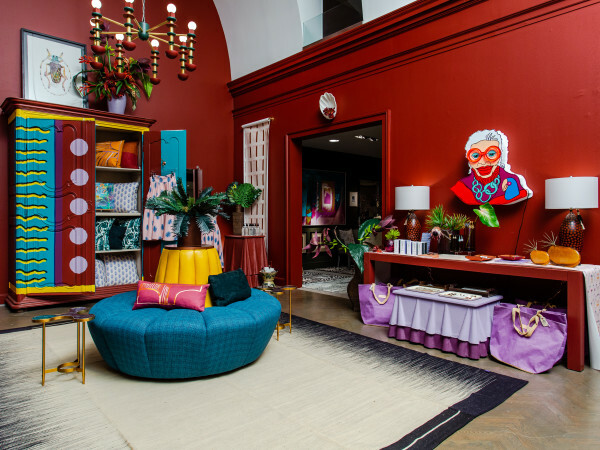 Inside there are contemporary pieces of art by locally and internationally known artists, including Frank Gehry, and furnishings by renowned midcentury designers, including Knoll and Herman Miller. Three separate outdoor living spaces were brought into the present with the addition of a fountain, concrete steps, stone retaining walls and modern landscaping, creating a serene urban retreat. This stately and inviting Colonial Revival limestone home, built in 1948, was renovated in 2012. Perched atop a hill on a sprawling 1-acre lot, the home was redesigned for an active and social family’s lifestyle. The interior features family heirlooms married with classic and transitional pieces for a thoroughly up-to-date feel. Flanked by a bright, modern kitchen and breakfast area, the large living area, accented by exposed beams, offers a sweeping view of the backyard pool and children’s play area. This Texas regional modern home, built in 2012, integrates modern design with functional, family-friendly spaces. The exterior is a graceful composition of modern elements, with a standing seam metal roof, Texas limestone fireplace and a slatted wood entry. Inside, find a formal living room illuminated by clerestory windows and a sculptural kitchen with shaker-style cabinetry and soapstone island. Hours for the home tour are 10 am-5 pm Saturday and 11 am-5 pm Sunday. The candlelight tour is 6-8 pm on Saturday. The holiday market is open the same hours as the home tour, and food truck cafe is open 11:30 am-2 pm both days. Both are located at Lakewood Elementary (3000 Hillbrook St.). Santa will be there noon-4 pm both days. The festival officially kicks off November 13 at the “Pearls & Prohibition Speakeasy” auction party at Belo Mansion, 7 pm-midnight, featuring buffet and open bar, casino, live music, dancing, and, of course, silent and live auctions. Tickets for the 2014 festival are $15 for one or both days; the Saturday evening candlelight tour is $20. (The price goes up $5 if purchased at the door.) Tickets are also available at a discount at select Tom Thumb stores. The holiday market and cafe can be accessed for $5 without a home tour ticket. Tickets for the November 13 auction party are $125 or $150 at the door and include an all-weekend pass good for the home tour and other festival activities. Visit lakewoodhomefestival.com for Tom Thumb store locations, to purchase advance tickets or to get more information.